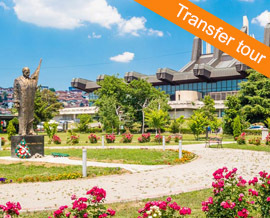 Get conveniently and comfortably from Belgrade to any of the cities in the region using transfer tours. In this way you’ll get two services in one trip, transfer between two points and sightseeing along the way with a private guide. Visit natural attractions, cultural or historic monuments, try local food or experience local lifestyle en route. 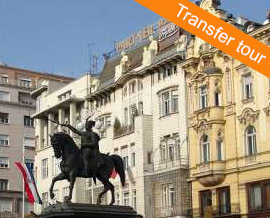 We’ll take you to Budapest, Timisoara, Sarajevo, Skopje, Zagreb or Priština from your Belgrade address to any address in those cities. Of course, we can do everything the same just in the opposite direction from any of those cities. 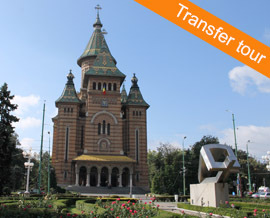 Transfer tours are designed as private tours, so it’s only for you and your traveling companions. No matter if you are a single traveler, family or group of friends we got you covered. We can take up to eight people at the same time with their luggage. Only requirement from your side is to have a valid travel documents and that your belongings meet customs regulation policies. Each of the transfer tours holds the description of en route stops, itinerary and time frames needed to reach the destination. Price of each transfer tour is given per tour, not per person. On top of that you’ll find information what is included in the price and what are additional or optional costs.